SBZA displays do not come on while the vehicle is approaching or passing other vehicles. At speeds greater than 32 km/h (20 mph), SBZA displays may come on when a vehicle you have passed remains in or drops back into the detection zone. SBZA can be disabled through vehicle personalization. 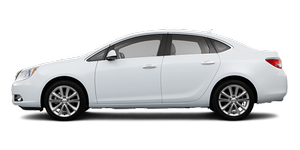 See Vehicle Personalization for more information. 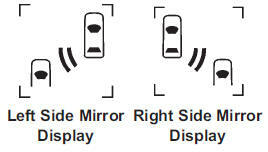 If the SBZA is disabled by the driver, the SBZA mirror displays will not light up during normal driving.